BiblePlaces.com was founded by Dr. Todd Bolen in 2001 to provide photographic resources for the study and teaching of the biblical world. Todd lived and taught at the Israel Bible Extension near Jerusalem for many years and he currently serves as Professor of Biblical Studies at the home campus of The Master’s University in California. He has graduate degrees from Jerusalem University College and The Master’s Seminary and a PhD from Dallas Theological Seminary. He may be contacted here. 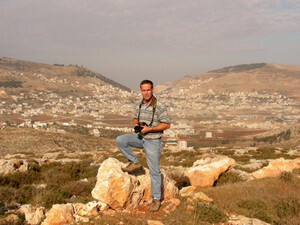 More than 40 other photographers have contributed to the BiblePlaces.com collections. For questions concerning orders, contact us at orders94@bibleplaces.com or 661-505-8280 (US Pacific Time). For questions concerning copyright restrictions or licensing images, contact us at permissions94@bibleplaces.com. Stay up-to-date by subscribing to our free newsletter and reading our blog. Follow us on Facebook, Twitter, and Instagram.